I wrote a post back in March called 10 Things To Do When Feeling Anxious, and you all loved it! 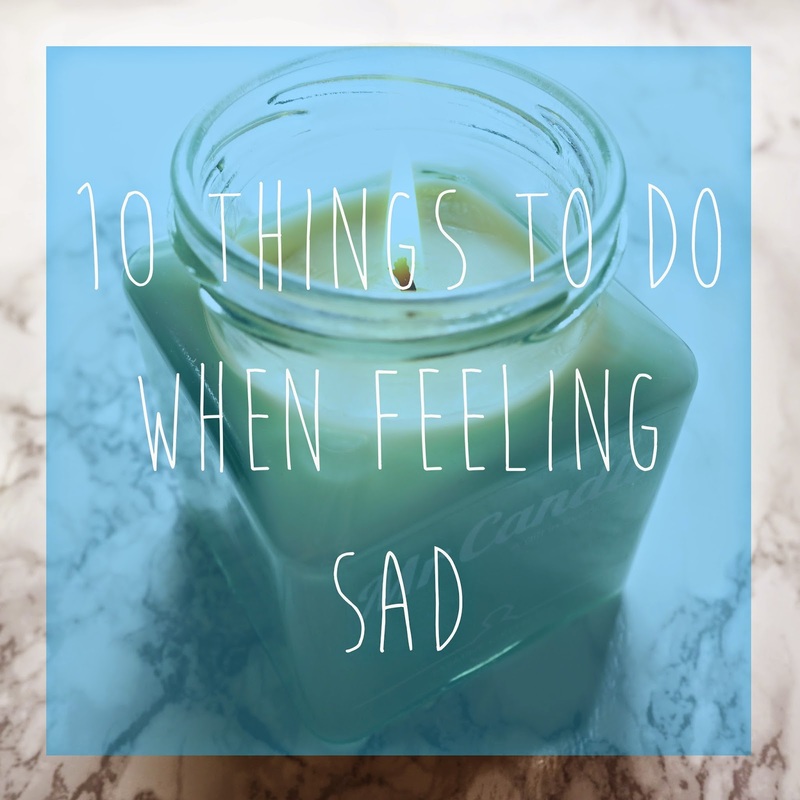 So I thought that today I would do something similar, but 10 Things To Do When Feeling Sad instead. Sadness and Anxiety often go hand in hand, making both lists very similar and pretty much mix and match, feel free to use any technique that works for you! These are just a few of the things I like to do, on those days when I just don’t feel myself. Now I don’t know about you, but when I am sad, I just DO NOT want to leave my bed at all. I feel like wallowing and feeling grumpy, even though it doesn’t help at all. What really helps, is getting up, and getting on with a few things on your to do list. You may not feel up to doing the things on your list (which is where the other things in this post come in) but I like keeping my mind busy from the sad thoughts PLUS I don’t know anyone who doesn’t feel happy and proud when they can tick lots off of their list! 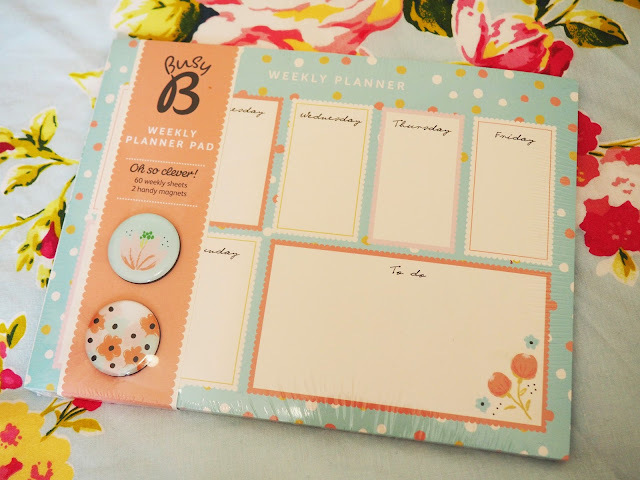 This Busy B Desk Pad* is super super cute! There is something about lighting a candle or few, that just changes the ambience of an entire room, plus scented candles make the room smell DIVINE. 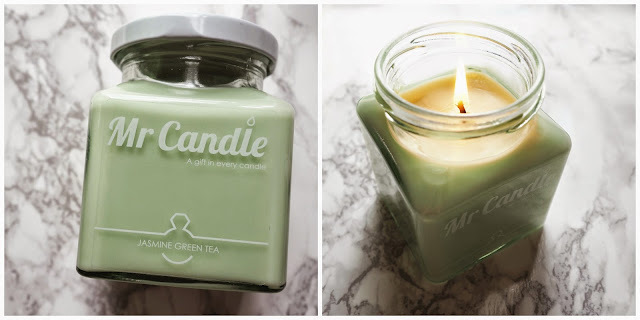 I am currently burning the brand new scent, Jasmine Green Tea* by Mr Candle. This scent is really fresh, and I think perfect for calming and relieving sadness. PLUS Mr Candle, Candles have a ring inside them worth between £10 – £500, need I say no more?! There is nothing like playing a happy, feel good playlist, blasting it up to full volume then having a good sing-a-long and a dance! 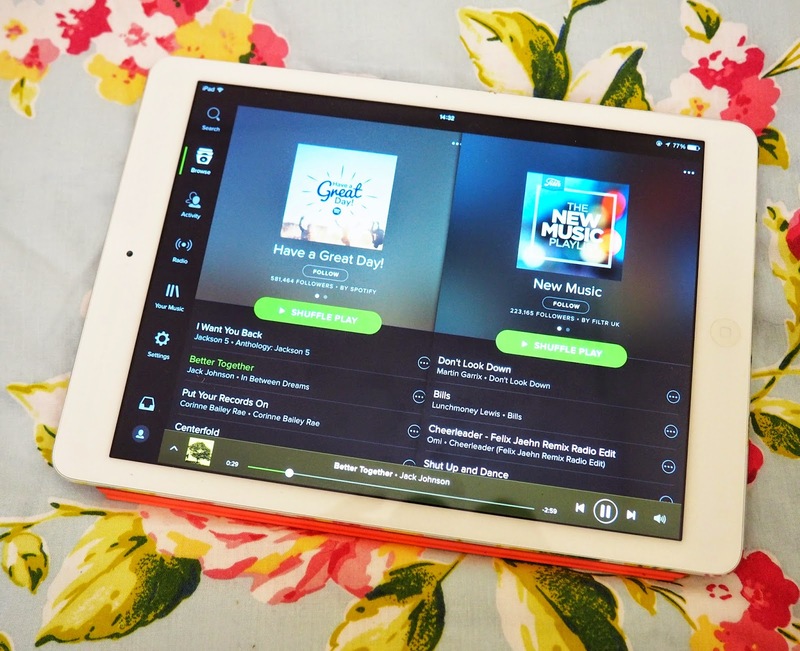 You can either create your own, and fill it with all your favourite songs, that make you just feel amazing, or there are many playlists to choose from on Spotify! Listening to a happy playlist is great, but I feel a combination between listening to a happy playlist, and a sad playlist is really important. Sometimes you NEED to have that little cry. Let it all out, I think it is healthy to cry every so often. Pick out those songs that really mean something to you, and hit that little sad spot. Being the creative person that I am, I just love getting creative, it cheers me up. 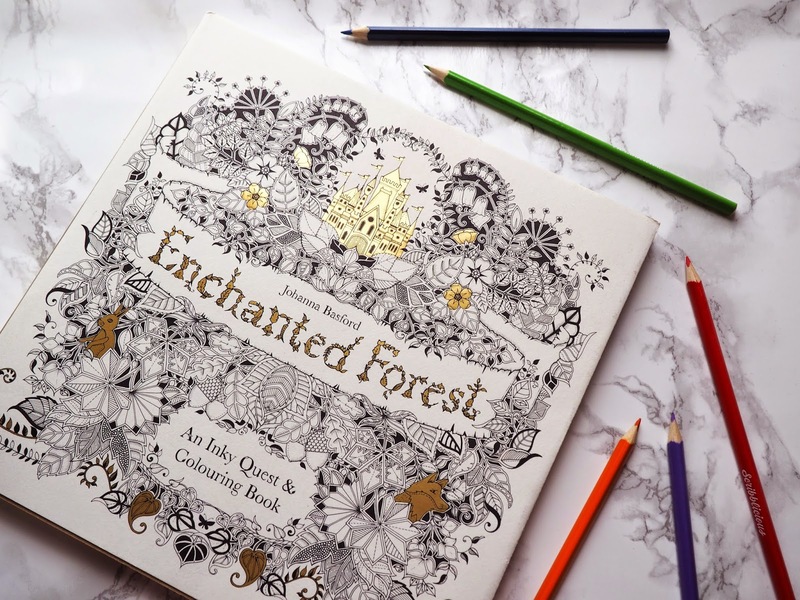 Johanna Basford has produced some really gorgeous adult colouring books. I was lucky to receive the Enchanted Forest*, and it is truly WONDERFUL, seriously so so detailed and the perfect tool for distracting those sad thoughts. My favourite foods never fail to make me smile. Treat yourself. Buy the food you love the most. I adore Walkers Sensations, Thai Sweet Chilli Crisps, plus Pret Cranberries in Coats are my FAVOURITE. The important thing about eating these foods on your ‘sad day’ is to NOT feel guilty. It is totally fine to treat yourself every so often, particularly on those poopy days. 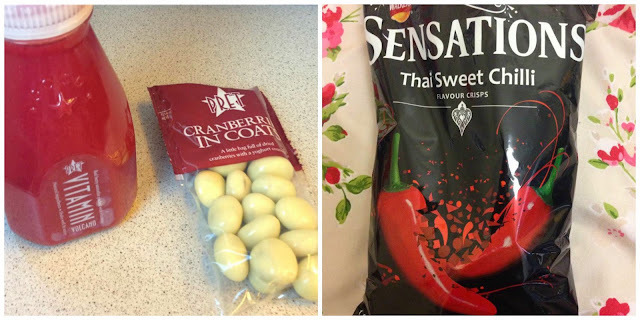 Or have some balance, healthy foods can be delicious too, I have an obsession with berries at the moment…. suitable for my blog name don’t you think. Fresh air is amazing. The days I stay inside for the entire day are always the days I usually feel my most down. Like today actually…. Go for a walk, even if you have no idea where you are going. Sit in your garden. Admire the scenery, breathe in the fresh air. There is something amazing about the ‘I just washed my hair’ sensation. Whenever I am feeling rubbish, I will wash my hair, even if it doesn’t really need it. It ALWAYS makes me feel better. 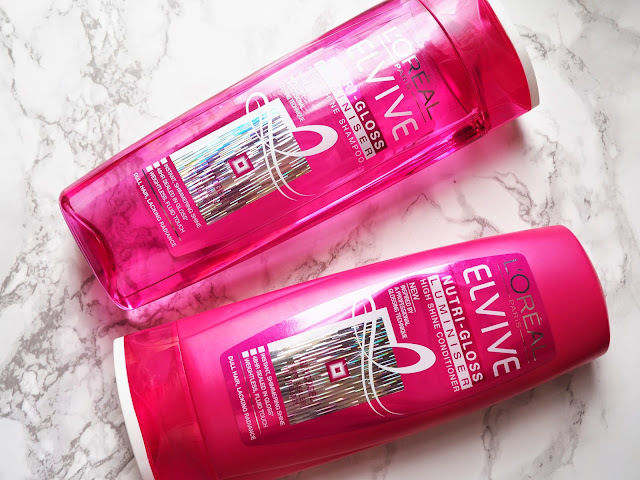 I am really enjoying the NEW Loreal Elvive Nutri-Gloss Luminous. The range is half price in Boots at the moment! Do you have that lipstick that just gives you that little bit of extra confidence? So what if you are staying in the house all day, doing chores or what not. You put that lipstick on! Likewise with painting your nails. This one is important. The people you love will always want you to be happy, they don’t want you to feel sad. Thus spending time with them when you are sad, they are bound to make their effort to cheer you up! Hope you enjoyed reading this post lovelies! I really like writing these ones for you, plus I love helping people out – so I hope some of these help at least one person! Great tips. Just what I needed at the moment actually! Thanks! Such a great post! Thank you! Quick beauty-related question: what mac lipstick is that? It's gorgeous! I have never really thought much about the effect that washing my hair has on my mental state. But you are so right, it always makes me feel better! What a lovely list, I want to get one of those colouring books SO bad! Love posts like this – such perfect ideas! When I'm feeling sad I love to have a little chat with my Mum as she always cheers me up! Great tips. I like getting creative and listening to music when I feel sad. Those Mr Candle candles seem so cool! What a great list. I agree that the best thing we can do when we are sad is not to wallow. 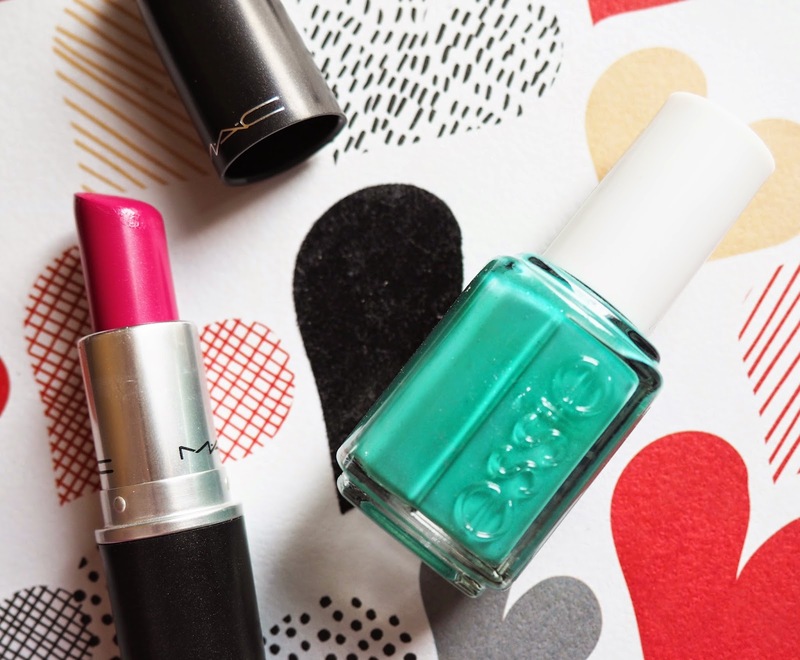 Doing something even as simple yet beautifying as painting our nails can have a wonderful affect on our mood. Thanks for sharing Kayleigh! What a lovely list! Personally I think the best thing to do is to go for a long walk, preferably in the mountain. Fresh air works wonders!